one playwright. one blog. | one blog. Intimate Apparel actor Brandon Greenhouse was interviewed by Isabel Corona about his experience with the play and the rehearsal process, and here is what she found out! 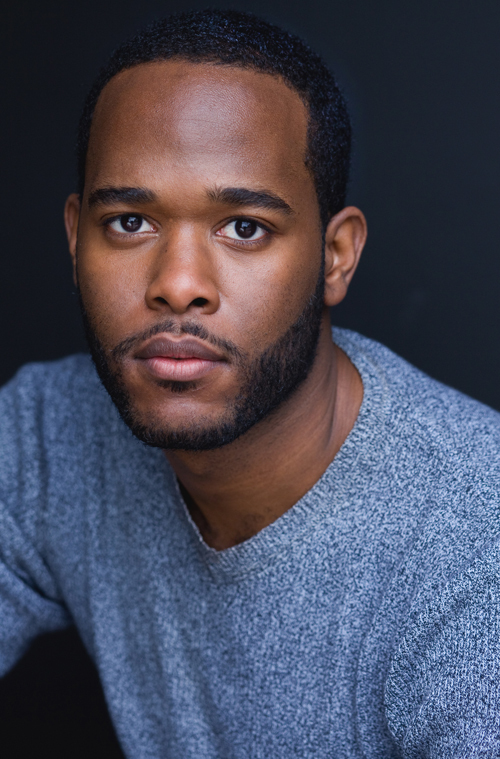 Acting for the better part of the last fifteen years, Brandon Greenhouse, has recently been nominated for the Ossie Davis Award (Best Featured Actor in a Play) for the Black Theater Alliance Awards for his portrayal of George Armstrong in Lynn Nottage’s Intimate Apparel. This is his Eclipse Theatre debut. Greenhouse graduated from the Santa Fe University of Art and Design with a BFA in acting and after moving to Chicago he went to Northern Illinois University for his MFA in acting. He has worked with American Players Theatre, American Theatre Company, and American Film Institute. He trained in the Meisner Technique, a technique he continues to apply to his work. With his later actions in the play, George is often painted as the villain, but it’s not always so clear. While the complex character was a bit confusing at first, Greenhouse was able to approach and connect the two versions of George after some thought. His good relationship with director Steve Scott throughout the production served as good learning experiences as well. Even though he said he feels most like George, Greenhouse said he wishes he “has as much fun as Mayme, and was as sure as Mrs. Dickson, and had the sensitivity of Mr. Marks and Esther’s strength at the end of the play” likely due to his hope of the audience being able to connect with the characters. Nottage doesn’t offer any information about the future of the characters, so does George get his horses? “There’s a little part of me that likes to believe he does get his horses, but for some reason I feel like he starts a new life,” Greenhouse said. Intimate Apparel will run through Sunday, August 24. Can you guess who’s in this picture? It’s our most beloved Frances Wilkerson who is playing Mrs. Dickson in Intimate Apparel this season! 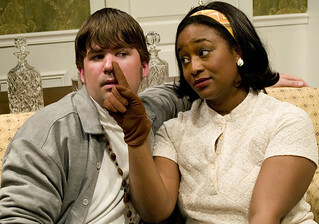 She is pictured here with Artistic Director Nathaniel Swift in Eclipse’s 2008 production of Neil Simon’s Plaza Suite. “What sort of things do you like to do?” Mrs. Van Buren asks of Esther in Intimate Apparel. After mentioning her love for going to church, Esther describes her trips to Mr. Marks’ apartment. Her description sounds a bit odd to Mrs. Van Buren, who does not quite get Esther’s taste in “fun.” But what exactly is Esther describing? In these few short sentences, Lynn Nottage subtly gives us a few clues about where Mr. Marks is living. 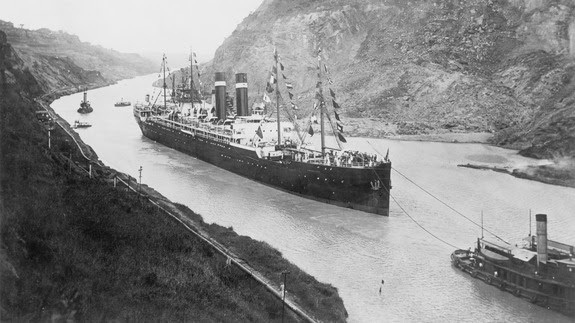 If you’ve gotten the chance to take a look at the dramaturgical research on our blog about Mr. Marks, you will know that he is a Romanian Jewish immigrant and would therefore be living near others like him. Aside from that, we know that he lives on Orchard Street, and thanks to the Tenement Museum in New York City, we actually happen to have quite a bit of information about his street! 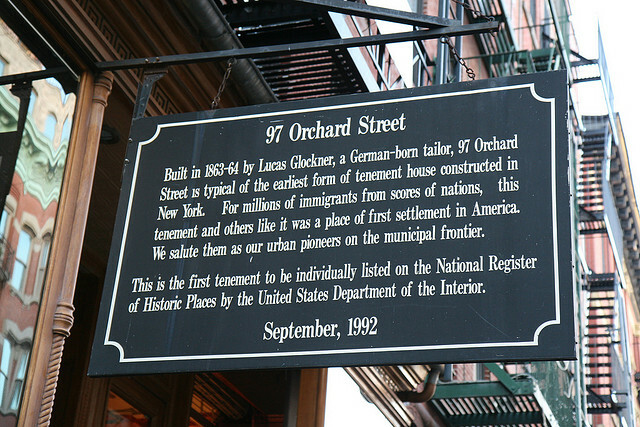 According to the Tenement Museum: “An estimated 7000 people lived in 97 Orchard Street between 1863 and 1935” in a tenement that was located there. So when did they get light? Well, the mood lighting could explain how Mr. Marks and Esther’s chemistry…? 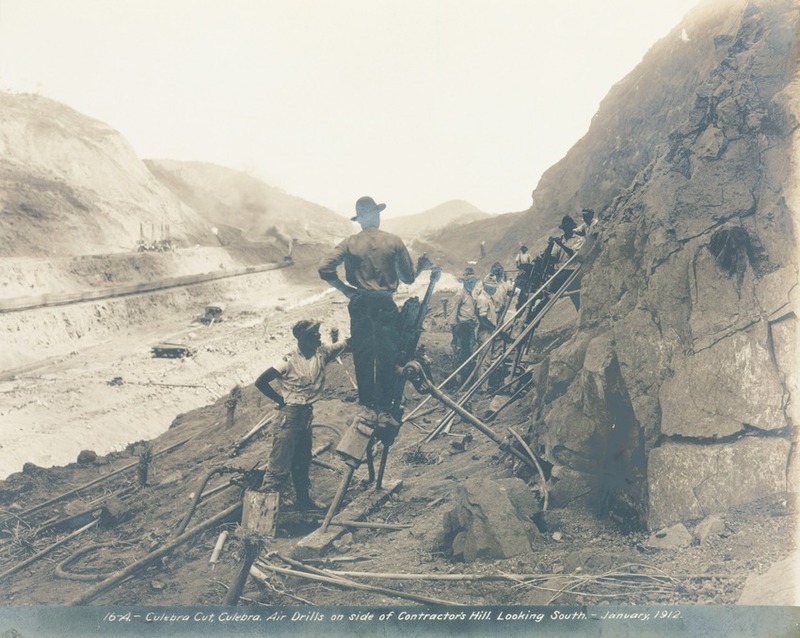 Click here to take a look at the great info and resources the Tenement Museum offers! As we begin another weekend of performances of Intimate Apparel, I can’t help but think how much fun we are having this season. Here is a THROWBACK to the first show of the season: Ruined. 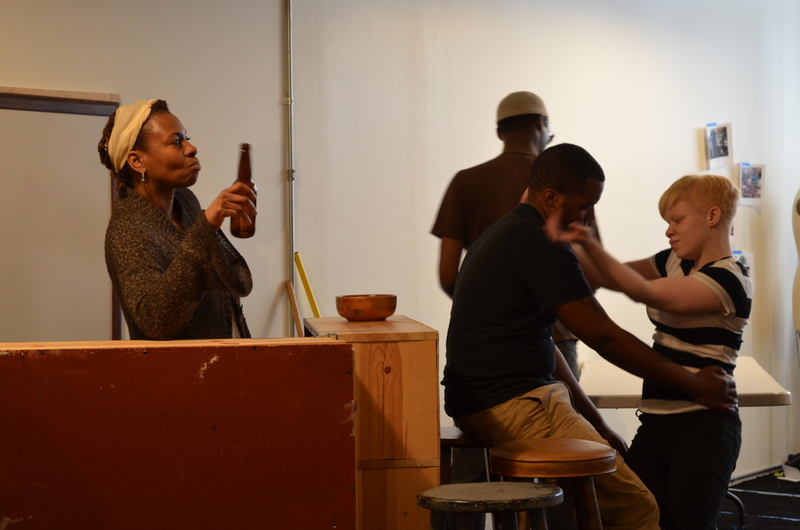 This is a picture from rehearsals, before the set was built and before costumes were added! Last weekend, we got to spend time with Ruined cast members TayLar, Krystal Mosley, and André Teamer at the Playwright Scholars Series reading of Lynn Nottage’s Crumbs from the Table of Joy. Loved getting to continue working with them!